We cordially invite you to be a part of the world of Fandom, a wonderful place where you can express your deepest celebrity centric desires! Why look up to the skies for guidance when you can stare into the screen of your phone and get all the answers you need from your favourite celebs latest live feed? 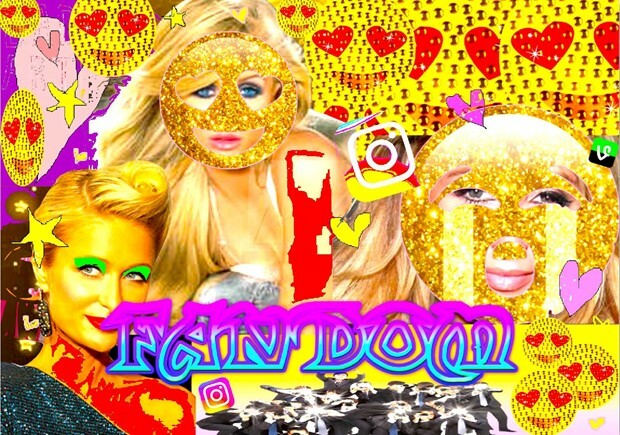 Whether you express your obsession in the form of the classic postered-up teenage bedroom, or you wholly embrace your devotedness to your chosen ‘living God’, as Toby Sheldon has done , Fandom welcomes all of these self destructive tendencies. Expect loads of art, performances, tribute acts, live music, DJS, freaks and geeks... all coming together to celebrate the unhealthiest kinds of fantasies. Come dressed as your favourite celeb ever for a chance to win an AMAZING prize.